Royal Canin Feline Persian is specifically formulated for adult Persian cats to maintain long hair beauty and reduce hairball formation. 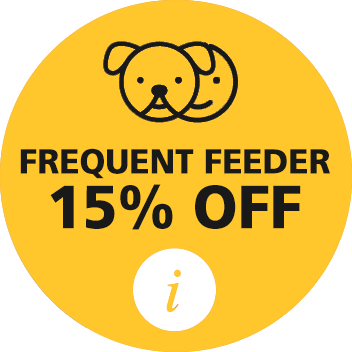 This delicious dry food range is designed to meet your cat's specific nutritional requirements. Helps limit the formation of hair balls and encourages gastric motility, thanks to an exclusive combination of fibres. Reinforced digestive safety. a kibble specially designed to make it easier for your Persian cat to grasp with the underside of the tongue. Limits hairball formation and stimulates intestinal transit. Promotes optimal digestive tolerance. dehydrated poultry meat, rice, animal fats, maize flour, maize gluten, vegetable fibres, vegetable protein isolate*, hydrolysed animal proteins, minerals, chicory pulp, fish oil, psyllium husks and seeds, soya oil, fructo-oligo-saccharides, hydrolysed yeast (source of manno-oligo-saccharides), borage oil, marigold extract (source of lutein).ADDITIVES (per kg): Nutritional additives: Vitamin A: 25100 IU, Vitamin D3: 800 IU, E1 (Iron): 41 mg, E2 (Iodine): 2.9 mg, E4 (Copper): 9 mg, E5 (Manganese): 54 mg, E6 (Zinc): 204 mg, E8 (Selenium): 0.1 mg, L-lysine: 15.9 g - Preservatives - Antioxidants.ANALYTICAL CONSTITUENTS: Protein: 30% - Fat content: 22% - Crude ash: 6.7% - Crude fibres: 5.3%.*L.I.P. : protein selected for its very high assimilation. 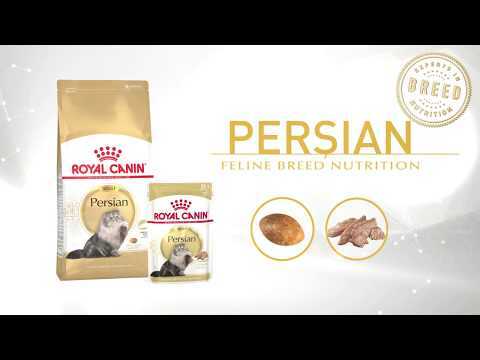 Carlo says... Great dry food for our Longhair Purebred Persian, she can chew this much easier as the biscuits are small and round which suits her mouth but still hard to care for her teeth, her coat has come up very nicely with this food. Tinette says... This is the only food my fussy kitty will eat!